You could create/ replicate a college overtime H2H blitz event. You could market it with your draft promo. Round 2: Team B now gets the ball first and scores a TD and a 2 point conversion. Team A scores a FG. Team A =10pts, Team B =11pts. After Round “x” the team with the most points wins. If tied, any follow rounds would be elimination sudden death rounds. I noticed a lot of the community complaining about the time it takes to complete 6 H2H games. This could reduce time and bring something new and creative to MUT. Also, this could benefit your gameplay team. This would help them see what plays and route concepts work in the Red Zone. Are these games ranked and/or do they go toward our MUT Master online games won totals?? I went 3-1 tonight and want to make sure they count. Because if they don't, then i'll just go back to the traditional H2H Season mode. It's fun though either way. Good idea for sure! Do you get unlimited chances to get 6-0 or once you lose your done? Even if you lose you can try again until you get the six. People talk about how OP the aggressive catch is but I don't see it at all, at least not when I play. I try to get aggressive catches and all that happens is the ball gets knocked out of his hands or gets dropped from being hit. I mean I dont get it? What am I doing wrong? These games don’t count towards series 4 wins. I work a 4*10 schedule. Meaning four days/week 10hours/day. I have ave every wed, sat and sun off. So this works out perfect for me. Would be great but the fact when you get dsync game 6 twice its crazy. Every problem I do the right thing and say little. Called ea what a waste. Perhaps talking to my wall would make more sense. EMTs, firefighters and hospital staff (mainly residents) do. I’ve also gotten 16 hour shifts and I’m none of the above. And those people can afford to buy cards..
Well the search phrase "mut 19 one play touchdown" just broke Youtube. awesome! 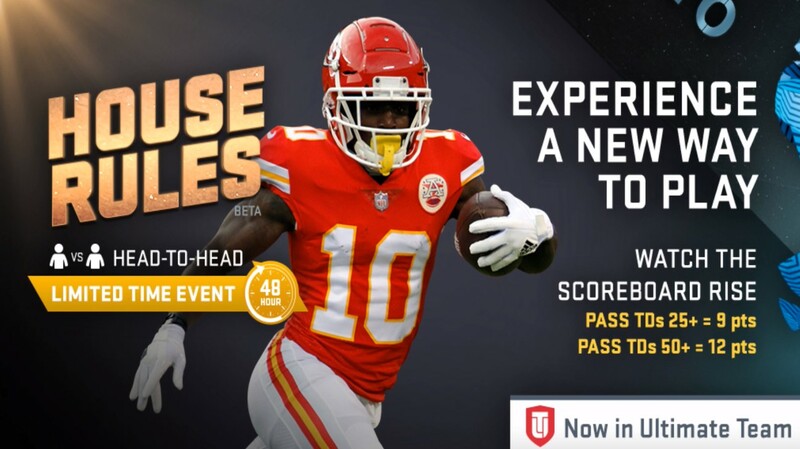 People will complain regardless, but just to fit everyones needs it would be awesome if they did limited time events for salary or mut drafts, but then people would complain, awww man w have to buy tickets just to play. Lol why invest in playing MUT if you already know how the mode goes? Also, they should have a team tier for matchmaking, but for simplicity and wait times, they don't. Stop complaining! In theory, you should buy the game to play the game. So in doing what you planned on doing anyway, if you happen to win 6 in a row, they will give you "400k"...and you complain about them gifting you "400K"!? !